Tasmanian Devils are carnivorous marsupials that are on the edge of extinction due to devil facial tumor disease. Devil facial disease is 100% fatal and it is a contagious form of cancer. The disease is one of four transmissible diseases and it has caused 80 percent of the marsupials population to be wiped out in Tasmania,Australia. While studying the organism, a group of Australian collaborators acknowledged that some of the Tasmanian Devils with the tumor did not die. Gene sequencing was performed on seven organisms that survived the devil facial tumor disease and on three organisms that died due to the disease. 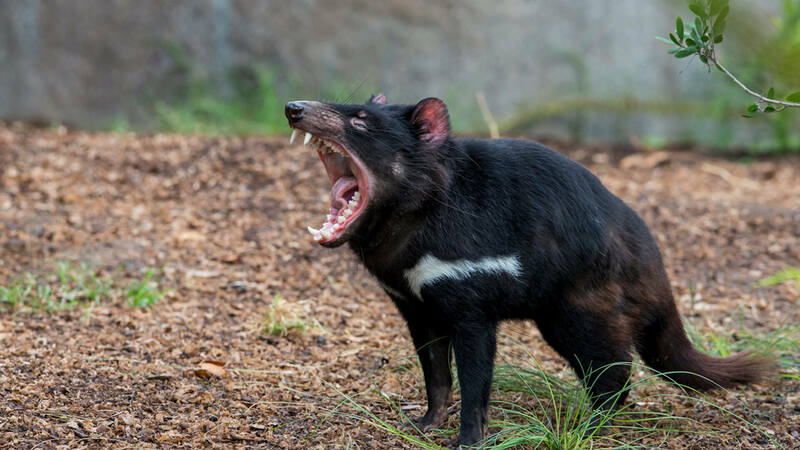 Scientists at Washington State University have discovered gene variants to be linked to tumor regression in Tasmanian Devils. Cancers in humans such as Merkel cell carcinoma is known to have tumor regression similar to the Tasmanian Devils. In my opinion, this scientific discovery is important because it can lead to the discovery of tumor regression of other forms of fatal cancers. Drugs can be developed to trigger the same response that the gene variants perform to reduce the effects of a fatal disease. I had heard of Tasmanian Devils before but thought they were already extinct, however from what you've presented it may be a matter of time before they are. I think its odd that its only one of 4 transmittable diseases, it seems that they may have some resilience to most diseases as well.